For someone who is a mechanic or always keen on having the car in pristine condition, then you might need to get yourself the best car ramps in the market. 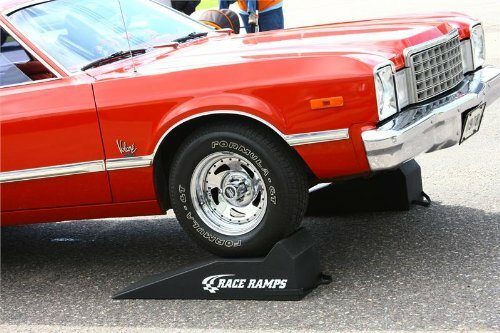 The work of the car ramps is to help you with having an easy time raising the car off the ground and working on it. Someone might argue that what about using a floor jack, well comparing the two you will easily note that using the ramps is much better as compared to using the floor jack. In this guide, we get to look at how to use car ramps. Choosing the car ramps is always important to make sure that you get to end up with the best ramps that can handle the work at all times. You need to keep in mind some tips when it comes to choosing the best car ramps to use more often. Take the time to understand the build of the car ramp. It is only great when you a product made of stronger materials. The ramps are supposed to be strong so as to hold the weight of the car easily. Picking only ramps made of strong materials is crucial. Understand the reputation of the brand or the ramps you want to buy. The reputation can easily be seen from the number of reviews you get from the different users. Compare the different types of ramps with each other before making a choice. Only pick those that have the best features and show signs of better durability. Consider the ground clearance of your car. Most ramps would easily work with any car, but it might a problem for cars with low ground clearance. Always keep in mind the type of cars that can work on the ramp. The capacity of the ramps would always be in the product description. You need to understand the weight capacity of the ramps as it will affect the types of cars you can use on them. Continuous following to know how to use car ramps which you had choosen above. Using the car ramps should not be hard, as you will get to see from the following steps. Start by positioning the ramps so that you can easily drive over them to get the car into position. Always make sure that the slide is kept at the center of the tire. Do the same for the other tire. Proceed to drive the car up the ramp. You need to drive forward slowly and directly up the ramp. Have someone checking the position of the tires for you so that you get the car on the ramps perfectly. Once the car is on the ramp, you can now turn if off and engage the parking brake. To be much safer, proceed to put two wheel chocks for the rear wheel. Place one chock at the front and the other at the back of the wheel. You should now be good to go under the car and start working on it. Sometimes you might need to access the underside of the car, but you do not have access to car ramps. It is in this part that you need to know how to make car ramps. You do not need complex materials, but rather some simple ones and you are good to go. The first thing you need to do is get yourself the right materials. You would need lumber that would be later cut into pieces to form the ramps. You need to cut the boards into 8”,16” and 24”. Make sure that one board is cut at an angle of 45 degrees. This is to help create the slide for pushing the car on the ramps. You need to nail the lumber together now to form the car ramps. Nail them together in a way that they end up forming steps with the 8” lumber at the top. This means that each time you get to drive over the steps, you can feel them and know when to stop. As you can see, when it comes to how to build car ramp is not a hard process. You will always end up having easy access to your car underside. You will have a great time enjoying the benefits of car ramps when you have set with you today. Go ahead and get one for yourself.